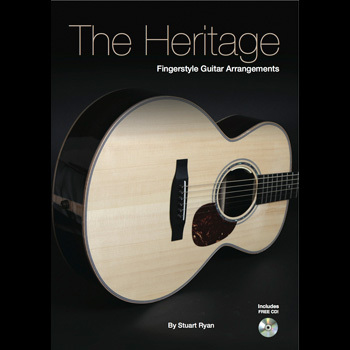 Stuart’s first collection of fingerstyle guitar arrangements, acclaimed by the guitar press and guitar players across the globe. 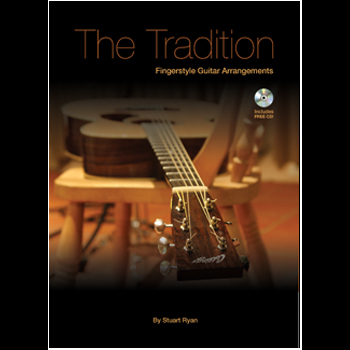 Each piece is performed by Stuart on the accompanying MP3 download and all the arrangements are presented in tablature and notation with detailed performance notes and background information. In addition a range of different tunings are used from standard to DADGAD and more so you can really start to see how the various altered tunings work. Now available as an iBook and PDF! 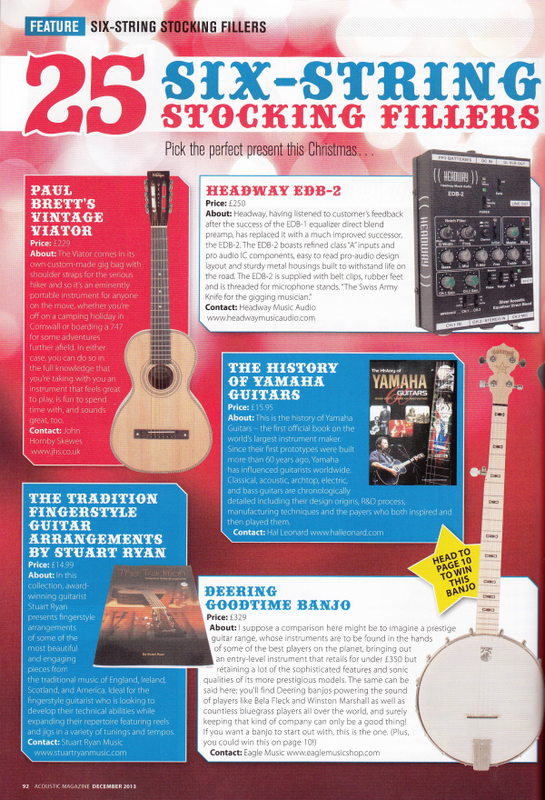 The Tradition has made it into Acoustic Magazine’s list of essential Christmas stocking fillers! I purchased Easy Pieces vol 1 first, and learned the songs in that set. That made me want to learn more of the music on this site. 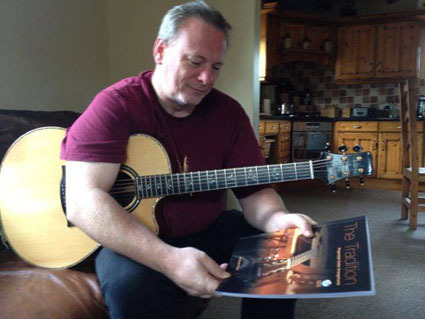 Then I purchased The Celtic set vol 1, and started learning those songs, and have a lot of fun playing those tunes. Then I chose to purchase both of the books. The Tradition, and the Heritage. I had problems ordering due to my address, however Stuart and Cori was so helpful with getting things sorted. I have never seen such quick, and friendly customer support. It really helped me out. Having started to learn the songs in this book, keeping the Heritage on the shelf to follow up after these. The perfomance notes are great and very informative, and the notation and tablature is very easy to read and follow. It will take me time to build up the speed required to play these songs, but learning them is made as easy as any book can make them. It is a pleasure to open this book and get to work on learning the next few bars of a song. I’m a slow learner, but by following the performance notes and tablature, even I can learn these songs. My favorite guitar book to date.